A man can use a wing man in practically everything he does – from piloting a Cessna 152, to bouncing clubs, lifting weights and managing his hair care regimen. And the best wing man we’ve found (when it comes to hair) is someone who’ll be there through both the ‘thick and thin’. While most us men would prefer to stay with the thick, it is nice to know if the opposite strikes – at least you’ve got some options. And options are something that Dove Men +Care does well, without inundating you with too many of them. On the shampoo end, Dove sent us their Complete Care and Thick and Strong options. These were two different formulas with obvious different purposes, yet one common goal: To make your hair look (and feel) its best. We found Dove’s Complete Care to be excellent for normal hair and daily use. It was easy to use, washed out quick, made our hair feel soft and left behind a nice manly scent. Their Thick and Strong wasn’t a lot different, but did seem to deliver on their promise – to make thicker and stronger hair. Thick and Strong is a simple, light formula, that doesn’t weigh hair down with excess moisture and fragrance. It leaves your hair clean and full of body, making whatever hair you do have – just seem like more. This formula isn’t anything new or groundbreaking, but Dove’s executes it well, so therefore we’d consider it a notable ally in the battle against thinning hair. And the options at Dove don’t stop with their shampoos. 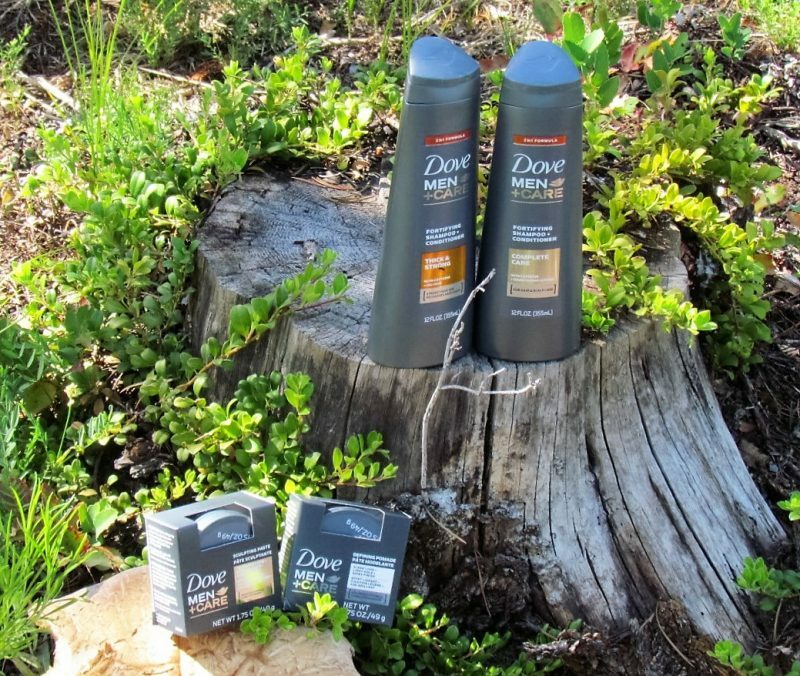 Dove Men +Care also have a line of gels, pastes and pomades that seem to follow the same rule: Keep it light, simple and functional and good hair should follow. For the guys with plenty of thick hair, Dove’s defining pomade offers a slick, wet look with just enough hold to keep your hair in place, but still remain pliable and ‘lifelike’. This is one of the easiest pomades we’ve ever used. For men with thinning hair, you may have noticed that any extra body achieved by thickening shampoos can sometimes translate into frizz. This can be as bad as living with flat, lifeless hair – so here’s what you do. We found the Dove Sculpting Paste to be excellent at soothing down the frizz without adding unnecessary weight. The trick is to blow dry your hair before applying the paste, and the result is a little extra body without all the excess fluff. 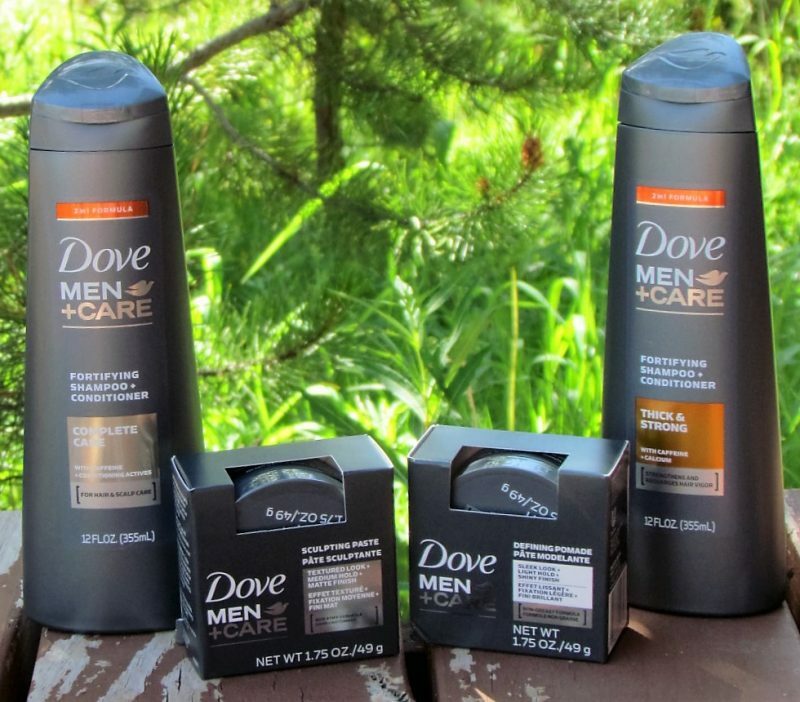 Dove Men +Care is not just a girly shampoo with a ‘manly fragrance’ tacked over the top. It is a formula made specifically for men. That is how I see the word, ‘+Care,’ fits into its name brand. 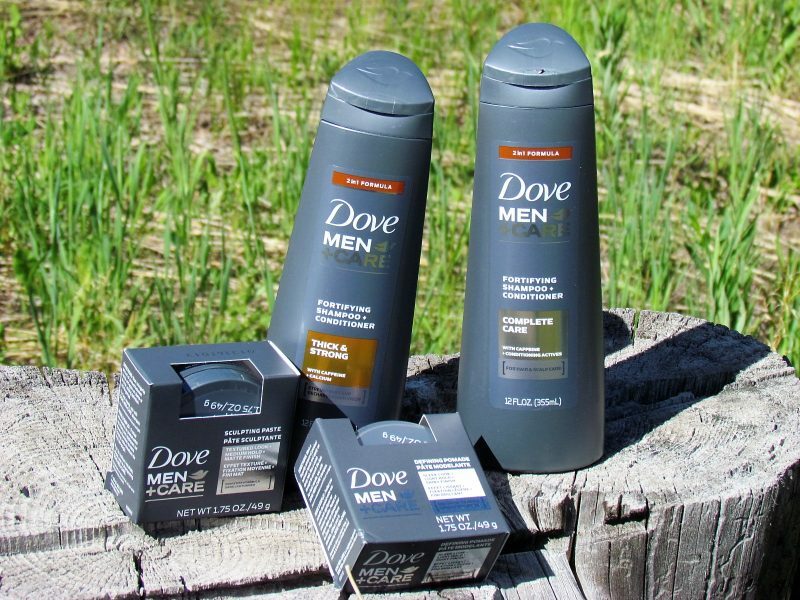 Dove not only gives a man a scent he can live with, but a formula that will make the most of what he’s got to work with – and we like that. And unlike some specialty hair care systems, Dove is a brand you won’t need to track down or special order, as it is likely already available where you normally shop.